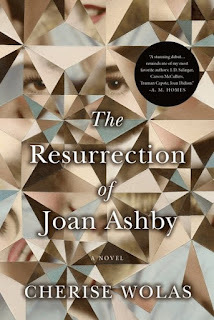 Cherise Wolas is the author of the new novel The Resurrection of Joan Ashby. 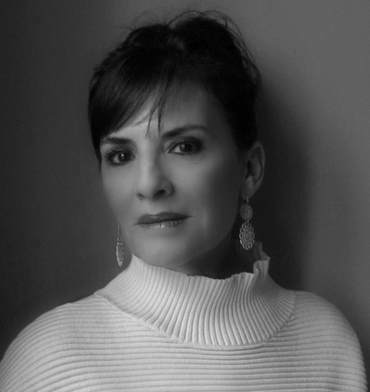 In addition to being a writer, she is a lawyer and film producer, and she lives in New York City. Q: How did you come up with the idea for The Resurrection of Joan Ashby? I have long been fascinated by the relationships between parents and children, by the nature of childhood traumas, how those hurts and fault lines manifest in adult life, how we integrate the full panoply of human emotions, the good ones, naturally, but also hurt, despair, destruction, and actual and perceived betrayals. We all have self-created narratives, and it is the exploration of those narratives and their discordant truths, the psychological underpinnings of our relationships and the Gordian knots that tie us together, that intrigues me. In the beginning, I was certain I was writing a short story about a young man named Daniel Manning, who possesses a desperate desire to creatively outshine his writer-mother. I was in his skin, feeling his anger, his jealousy, seeing everything from his point of view. The short story had become a lengthy one when, in reaction to something unrelated, I wrote a few paragraphs about two young women, best friends, roommates, both aspiring writers. Those two paragraphs, perhaps one hundred words in total, was a fragment that kept haunting me and eventually became a short story called Killing Close Friends. First, that I was writing a novel. Second, that Joan Ashby’s story demanded to be told. Third, that Killing Close Friends would be a short story written by Joan Ashby and contained in one of her celebrated story collections. Fourth, that, at some point, Daniel would come across the truth of his mother, and that truth would alter him profoundly. And fifth, that I wanted to fully explore how this formidable writer, so supremely focused and determined to avoid love, marriage, and motherhood, ends up married and the mother of two sons. Q: Can you say more about what it was like to write a novel about a writer and how you created the stories-within-a story that represent your character Joan's work? A: Luck was definitely with me. For a long time, the story focused on Daniel Manning—a boy who loved writing stories early in his life, who perceives himself as the only writer in his family, who is crushed when he discovers his mother is already the famous writer in the family. During all the iterations of that story, Joan Ashby’s brilliance is seen only through his perceptions, and. thus, at a distance. Because the writing began where it did, by the time I understood I was writing a novel, and a novel about a brilliant writer, I’d developed the necessary personal gumption. The stories-within-the-story came about because I was felt it was insufficient to simply assert the fact of Joan Ashby’s talent—her talent had to be on display. When I dropped in the short excerpt from Killing Close Friends, and I saw how it played as both point and counterpoint, it was a wonderful light bulb moment. And it felt right and natural to use other excerpts from both her published and unpublished work to provide connections to Daniel, and to showcase her talent and provide a wavy mirror of reflection for her life’s progression. I wrote as Joan Ashby. I imagined I was her, the focused and determined writer with the unloving childhood, sitting at her old battered dining-room table in her East Village apartment, seeing the world through her particular lens. Q: The writer A.M. Homes compared your work to that of J.D. Salinger, Carson McCullers, Truman Capote, and Joan Didion. What do you think of those comparisons? A: To be compared to such incomparable novelists is wild and surreal and fantastic! When I first learned of A.M. Homes’ reactions to the novel, and to whom she compared my work, I started shaking, and then I cried. And, of course, for months, I read her words obsessively at least once a day. Even now, when I read her quote on the back of my novel, I shiver with gratitude, overwhelming pleasure, and a never-ending sense of shock. A: I didn’t know how the novel would end at all. I always need to settle into the skins of my characters, feel them, hear them, see what they do, how they act and react. Of course, I am in control, but I give them enormous space and freedom. And I’ve found that with space and freedom, amazing things happen, that I never could have anticipated, that would never have occurred, if I was writing from something predetermined. I am an extreme editor of my own work; everything goes through umpteen drafts, I make millions of changes as I discover and uncover and revise and hone. A: My second novel, The Family Tabor. It is completely different in story, structure, tone, and themes. It’s about the connective chorus of family, the nature of time, how the past influences the present, the search for love, the desire to explore, the personal need for rites, rituals, and magic in our lives, and the search to perhaps believe in something greater than ourselves. Set in Palm Springs, California, it follows the members of the Tabor family over one critical and life-changing weekend. The exciting plan is for The Family Tabor to have a 2018 publication. A: It’s been incredible hearing from so many readers of The Resurrection of Joan Ashby about how much they love the novel, are reading it for the second or third time already, have read the novel and are now listening to the audiobook, how much they adore Joan Ashby, want to read all she’s ever written, and find themselves so completely immersed they forget it’s fiction, and ask for Joan Ashby in bookstores and libraries. So many have written to tell me this novel matters to them and is a novel that matters—that they find themselves considering their own lives, their own dreams, and the choices they’ve made or are making. And that, despite being a big book, it reads fast as the wind!